Mailer Scorecard - A guide to the new Mailer Scorecard and the introduction of new mail quality thresholds and penalties. Includes links to additional USPS resources on the subject. 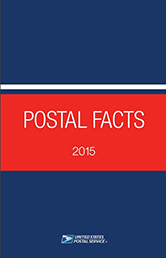 USPS Postal Facts - The Postal Service delivers more mail to more addresses in a larger geographical area than any other post in the world. But how many people does it employ and how much revenue does it generate? What is the most common street name? The most unusual delivery method? Find out these and many more postal facts here. 2016 Mailing Services Promotions Calendar - a guide to the proposed direct mail pricing promotions for 2016, including programs for the use of color-enabled mobile technology in campaigns, First Class Mail as a primary reply mechanism, personalized landing pages and more. You can also download the calendar here. Federal Register Notices - a list of the most recent Federal Register notices filed by the Mailing Standards Department of the United States Postal Service. Mailing Service Updates - real-time updates showing where mail service is disrupted or suspended for any reason (such as floods, fires, storms etc.) with details of facilities affected. USPS Quick Service Guide (QSG) - a tool from the USPS that can help you quickly find what you need to know about mailing preparation, highlighting key areas in each mailing category. The QSG follows the same numbering system as the DMM (see below). Postal Addressing Standards - jointly developed by the Postal Service and mailing industry, standardized address information enhances the processing and delivery of mail. The Domestic Mail Manual (DMM) - a guide to the mailing standards of the United States Postal Service. Business Mail 101 - A beginner's guide to mailing. Concise, easy-to-use and very helpful! 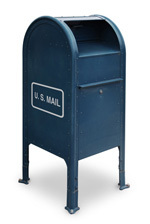 The USPS Postal Bulletin - the official source for updates to policies, procedures, forms and more. Intelligent Mail Updates - a guide to the latest news on Intelligent Mail Services. Quick Service Guide for Move Update Standards - an overview of what is required.